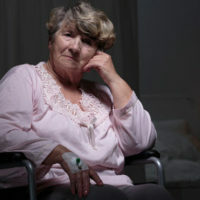 The unfortunate prevalence of nursing home abuse and neglect is an issue that is fairly well-known across the country. Florida, due to its large senior population, is especially vulnerable to this problem, which means family members should be watchful for signs of recent harm. Many people associate abuse in a nursing home with physical assault, and do not contemplate the possibility of sexual abuse. However, this type of reprehensible activity does occur, but it is hard to gauge the frequency of these attacks because reports of these types of assaults are lumped in with all other types of physical abuse. Thus, as reported in a recent article in the Miami Herald, sexual abuse in nursing homes is a hidden problem nationwide, and specifically discusses how a lack of oversight and unwillingness by facilities to report such incidents combine to hinder efforts to address this issue. While prosecuting the offenders is important, holding the nursing home legally accountable for failing to protect a resident is equally critical. When a resident suffers an injury while under care of a nursing home, the facility can be held liable for the harm and made to pay compensation. In addition, because nursing homes have a business interest against bringing attention to this issue, family members must be vigilant about monitoring loved ones for signs of abuse. A discussion of a nursing home’s obligation to protect residents from harm, and how to spot signs of sexual abuse, will follow below. physical and chemical restraints, unless authorized by a doctor. the breach was the direct cause of the resident’s injury. If negligence is established, the nursing home could be required to pay damages to the injured resident for costs related to medical care and pain and suffering. sudden withdrawal from social interactions. Abuse of a nursing home resident is a horrible violation of trust, and the Miami law firm of Pita Weber Del Prado are here to help you hold these facilities responsible for these lapses of trust. We know what it takes to prove a nursing home is liable for an injury, and offers free consultations to discuss the merits of your case. Contact us today.